Bounce into where you are and bounce out once you are done. Physical answers. After they stop looking at me like I am shallow and asking the obvious they comply and they begin to talk with a partner about their drive, route, or the bus/subway that gets them to work and whisks them home at the end of the day. Lights on but nobody there. After this I suggest the real arrival is psychological. How do we show up at work and for work? Not just in body but also in mind, emotions, and spirit. How do we leave work behind at the end of the day to rest, rejuvenate, and get ready for the next day? Begin with the end. William Bridges let us know that transitions begin with an end, have a neutral zone in between and end with a beginning. To really get to work we must end a mental, emotional, and spiritual focus on home. A good transition can help us move into full engagement. Perhaps it is a change of clothing, a cup of coffee, talking with a certain person, going for a jog, reading some inspirational reading or escapist fiction. Body, mind, emotion, and spirit. I encourage you to find your unique way in and out of work. To be able to fully bounce into what you are doing and to bounce away from it once it is over. To be fully where we are in mind, body, emotion, and spirit makes for rich and enriching levels of engagement. Team transitions. 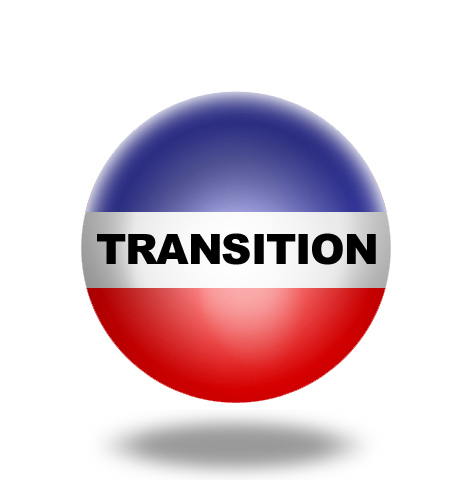 If you are a leader I encourage you to set up a department or team transition routine. Perhaps a quick huddle to check in with each person or a 10 minute tour through the work site to stop and talk with people around the office or to go online and use one of the many social media tools to make emotional and task connections. Transitions create life/work engagement. Transitions offer great opportunities for engagement and when we leverage strong and powerful transitions rituals or routines we create a very healthy movement between work and home. Transitions are the small, subtle, and very significant acts that create powerful and potent life/work engagement. Having a cup of coffee and reading the newspaper to wake up. Going online and making a few relationship connections. Jumping into the shower to wake up for work or having a bath after work to soak away the day. Walking the dog before or after work. Walking, jogging, or cycling to work. Listening to music or audiotapes. Talking with someone before work or after work. Meditating or using brief yet mindful breathing to inspire yourself for work and to let go of work. Going to the gym or jogging to move through the neutral zone between work and home. Changing your clothing to signify a transition. Kissing your children goodbye before going to work and taking time to really play with them when you get home. Turning on your computer and turning yourself on to work and then turning off your computer at the end of work to also turn off your thoughts of work. Master transitions to master employee engagement. When we master transitions we master the entry points of engagement and the exit point of healthy disengagement from work. If you would like to read more ONE BALL posts click here. Often it is the things with which we are most familiar that we do not see. Your bounding ball helps us to look at these from a closer perspective. Not only that the image sticks with folks and creates a memory. Since I love my work I’m anxious to get right out of bed and get to it. But it’s not like that for many others. To make sure I build more balance in the day, I purposely list the ways I plan to get exercise right in my daily planner and then I don’t overlook it. Thanks for a strategy to make our lives richer no matter at we approach a work day.